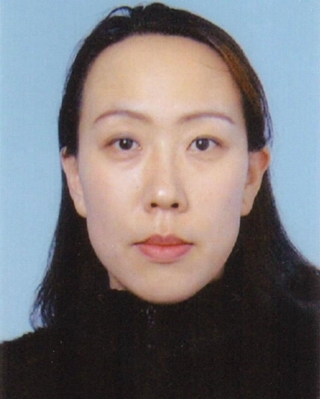 Bing Yu received her PhD from Peking University in 2006. After completing a Postdoctoral Fellowship at University of Wyoming, she joined the Qingdao University in 2009 as a Distinguished Professor. Her current research interests lie in the analytical chemistry and biomaterials. 1. Hailin Cong, Bing Yu, Hongbo Zhang, Xin Chen, Xiulan Zhang; Polyphenylene oxide nanocomposite membranes for CO2 separation, in Jonathan Albo Sanchez (Ed), Carbon Dioxide Capture: Processes, Technology and Environmental Implications, Nova Science Publishers, 2016, New York, USA, ISBN: 978-1-63485-321-7. 2. Hailin Cong, Bing Yu, Xiulan Zhang, Shujing Yang, Electrochemical detection of dopamine using carbon nanomaterial based electrodes, in Nadya Gotsiridze-Columbus (Ed), New Developments in Dopamine Research, Nova Science Publishers, 2016, New York, USA, ISBN: 978-1-63483-789-6. 3. Hailin Cong, Bing Yu, Xing Lu; Current Micro-Nano Science and Technology, Trans Tech Publications, 2015, Switzerland, ISBN-13: 978-3-03835-464-2. 4. Hailin Cong, Bing Yu, Hua Yuan, Chao Tian, Shujing Yang; Preparation and characterisation of nanocomposites with polyphenylene oxide, in Vikas Mittal (Ed), Manufacturing of Nanocomposites with Engineering Plastics, Woodhead Publishing, 2015, ISBN: 978-1-78242-308-9. 5. Hailin Cong, Bing Yu, Xin Chen, Ming Chi, Peng Liu, Mingming Jiao; Chapter 1: Preparation and application of photosensitive capillary electrophoresis coatings, in Christian Reed (Ed), Capillary Electrophoresis (CE): Principles, Challenges and Applications, Nova Science Publishers, 2015, New York, USA, ISBN: 978-1-63483-160-4. 6. Hailin Cong, Bing Yu, Xiaodan Xu, Xin Chen, Hua Yuan; Chapter 1: Preparation and application of photosensitive polyethylene glycol in micro-nanofabrication, in Joyce Williams (Ed), Polyethers and Polyethylene Glycol: Characterization, Properties and Applications, Nova Science Publishers, 2015, New York, USA, ISBN: 978-1-63483-417-9. 8. Hailin Cong, Bing Yu, Xing Lu; Leading Edge of Micro-Nanoscience and Technology, Trans Tech Publications, 2013, Switzerland, ISBN-13: 978-3-03785-629-1. 11. Bing Yu, Xi Shu, Hailin Cong, Xin Chen, Huwei Liu, Hua Yuan, Ming Chi, Self-assembled covalent capillary coating of diazoresin/carboxyl fullerene for analysis of proteins by capillary electrophoresis and a comparison with diazoresin/graphene oxide coating, Journal of Chromatography A, 2016, 1437, 226-233. 12. Bing Yu, Ming Chi, Yuxing Han, Hailin Cong, Jianbin Tang, Qiaohong Peng, Self-assembled and covalently linked capillary coating of diazoresin and cylcodextrin-derived dendrimer for analysis of proteins by capillary electrophoresis, Talanta, 2016, 152, 76-81. 13. Bing Yu, Xin Chen, Hailin Cong, Xi Shu, Qiaohong Peng, Photosensitive diazotized polyethylene glycol covalent capillary coatings for analysis of proteins by capillary electrophoresis, Analytical and Bioanalytical Chemistry, 2016, DOI: 10.1007/s00216-016-9804-5. 14. Xiaoyan Xin, Yiying Yang, Jing Liu, Xiaomeng Wang, Hong Zhou, Bing Yu, Electrocatalytic reduction of a coreactant by hemin-graphene-Au nanoparticle ternary composite for sensitive electrochemiluminescent cytosensing, RSC Advances, 2016, 6, 26203-26209. 15. Hua Yuan, Bing Yu, Hailin Cong, Qiaohong Peng, Zhen Yang, Yongli Luo, Ming Chi, Preparation of highly permeable BPPO microfiltration membrane with binary porous structures on a colloidal crystal substrate by the breath figure method, Journal of Colloid and Interface Science, 2016, 461, 232-238. 16. Hailin Cong, Xiaodan Xu, Bing Yu, Huwei Liu, Hua Yuan, Fabrication of anti-protein-fouling poly(ethylene glycol) microfluidic chip electrophoresis by sandwich photolithography, Biomicrofluidics, 2016, 10, 044106 (9pp) . 17. Hailin Cong, Xiaodan Xu, Bing Yu, Huwei Liu, Hua Yuan, Fabrication of USB flash disk type microfluidic chip electrophoresis and application for protein analysis under ultra low voltage, Biomicrofluidics, 2016, 10, 024107(7pp) . 18. Bing Yu, Chao Tian, Hailin Cong, Tao Xu, Synthesis of monodisperse poly(styrene-co-divinylbenzene) microspheres with binary porous structures and application in high performance liquid chromatography, Journal of Materials Science, 2016, 51, 5240-5251. 19. Bing Yu, Xiaodan Xu, Hailin Cong, Qiaohong Peng, Zhen Yang, Shujing Yang, The fabrication and application of carbon nanotube films, Current Organic Chemistry, 2016, 20, 984-993. 20. Bing Yu, Hailin Cong, Lei Xue, Chao Tian, Xiaodan Xu, Qiaohong Peng, Shujing Yang, Synthesis of monodisperse silica microspheres for UPLC separation of C60 and C70, Analytical Methods, 2016, 8, 919-924. 21. Hua Yuan, Bing Yu, Hailin Cong, Qiaohong Peng, Yongli Luo, Tao Xu, Hongbo Zhang, Zhun Li, Shujing Yang, Ruixia Yang, Modification of polymer membranes for gas separation, Reviews on Advanced Materials Science, 2016, 44, 207-220. 22. Bing Yu, Feng Zhai, Hailin Cong, Dong Wang, Qiaohong Peng, Shujing Yang, Ruixia Yang, Synthesis of conductive magnetic nickel microspheres and their applications in anisotropic conductive film and water treatment, RSC Advances, 2015, 5, 77860-77865. 23. Bing Yu, Hailin Cong, Zejing Li, Hua Yuan, Qiaohong Peng, Ming Chi, Shujing Yang, Ruixia Yang, S. Ranil Wickramasinghe, Jianguo Tang; Fabrication of highly ordered porous membranes of cellulose triacetate on ice substrates using breath figure method; Journal of Polymer Science Part B: Polymer Physics, 2015, 53, 552-558. 25. Bing Yu, Hailin Cong, Yuezhong Wang, Hua Yuan, Lei Xue, Ruixia Yang; Synthesis of Fe3O4-NPs/SiO2 core-shell hollow microspheres and application in water treatment; Colloid and Polymer Science, 2015, 293, 985-991. 26. Xiangying Meng, Bing Yu, Hailin Cong, Li Shuai, Hua Yuan, Shaohui Xu; Synthesis and application of cotton-based chelate fibers grafted with poly(1-vinyl-1,2,4-triazole) side chains; Journal of Applied Polymer Science, 2015, 132, 3420-3425.